A long-awaited $1 million fire truck will be delivered in late August or early September, Palmyra Fire Chief Richard Dreby said. When it arrives, it will cap a process that started a year-and-a-half ago when the fire company first presented the idea of a new truck to borough officials and the public. Last summer, after much discussion, borough council decided not to put the purchase of the new fire truck up for a referendum. Instead, they approved a bond ordinance to fund the department’s request. The new 100-foot ladder truck, which is being built in Wisconsin by Pierce Manufacturing, will be replacing a 26-year-old truck that has required costly repairs in recent years. Meanwhile, the department’s current truck has already been put up for auction online. The 1992 Spartan ladder truck will be on the market until at least Tuesday, July 17, and has a starting bid of $15,000, according to a listing on govdeals.com. A post on the borough’s website boasts the truck has only 11,426 miles on it. As far as the new truck, it probably won’t hit the streets until late September or early October, according to Dreby. He said the lettering on the outside of the vehicle will be done at the station, and the firefighters will need some time training with the new apparatus. Dreby said the new truck will have several upgrades, including back-up cameras, but he said it’s not over-the-top. “It will have all the safety features,” he added. The truck was also designed for the fire station’s 10-foot, 2-inch door opening. 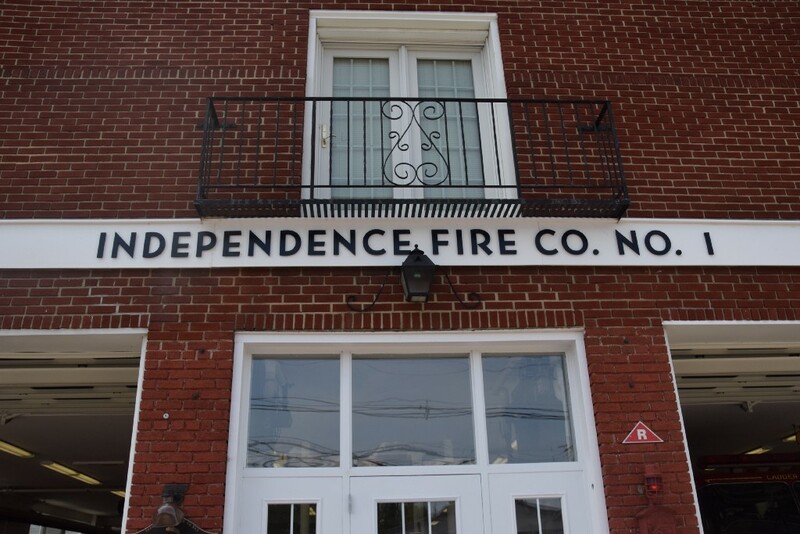 Dreby said many of the newer firehouses in the area have much larger entrances, but he said there’s not much the department can do to alter the building, which is a converted A&P grocery store. “The truck was built with the overall height in mind,” Dreby said. For more information, visit the borough’s website at boroughofpalmyra.com.